20 Secret Web Traffic Strategies from [20 Stubborn Entrepreneurs]! You’ll fail online if you’ve no traffic! This post is too rich for you to ignore. You’ll discover the underground secrets these entrepreneurs are using on a daily basis to drive thousands of traffic and sales. The word “stubborn” as used here means that against all odds, these entrepreneurs refused to accept failure as a way of life. Be like them. Other people who started out at the same time may fail in their online businesses, but these entrepreneurs have made a decision to either succeed or die. Are you struggling to get targeted traffic to your website? Or do you want to get more readers who believe in your quest? Read this post gently. Bookmark it if you want and come back to it later. Every entrepreneur who made this list is already successful in their own way. It’s time for you to define your own success and it begins with influencing people who need succor from the challenges facing them. Enough. It’s time to grow your blog and stand out in the crowd. Digest the 20 best traffic generation strategies from preachers who practice what they preach. His name is Robert Parson but we all prefer to call him Bob Parson. He’s the CEO of Godaddy, one of the leading domain name registrars. He had said in several interviews including the one he had with npost that having lots of money will not grow your business. In other words, you may have a lot of cash to run PPC Ads or buy traffic, but if you don’t understand your business model, every other thing would flop. If you want to drive traffic or get more of it to your blog, start by understanding the model you’re in. What is your niche? Who needs you? How big is your market and how desperate is your target audience towards solving their problems? Start answering those questions now because your web traffic success lies therein. 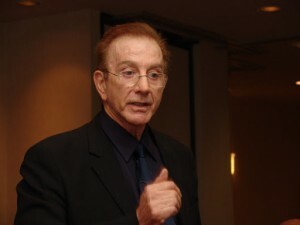 Ted Nicholas is the Master when it comes to direct response copywriting (learn more). When he wants to relax, he usually dances to some Greek music but he never jokes with his headline. Whether for a client or a blog, he invests adequate amount of time to make it catchy, benefit-driven and powerful. Almost all of his copy had generated over a million dollar sales for his clients because people respond to it. As a content marketer, never joke with your blog headline or title. It doesn’t matter the name you call it, don’t just push the “publish” button yet, because a great post with a weak headline will definitely fail. Study headlines that hooked you, copy and make your own better – then use it. Gary is a New York Times Bestselling Author of the Thank You Economy and Crush It and his latest book, Jab, Jab, Jab, Right Hook. Earlier in my content marketing career, I read that you can build buzz when you leverage book tours and social media. 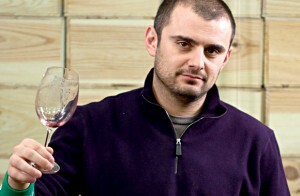 But this strategy of driving traffic and sales became real to me when I started following Gary Vaynerchuk. As a social media expert, he recommends that if you need targeted traffic like yesterday, learn to share advice that will connect and emotionally cause a ripple in your audience’s mind. Once you can tell a striking story, you’ll be able to get the right people to notice you. This is the ultimate way to beat competition no matter how intense. Tell ‘the’ story and use social media to share it. Be consistent because your success online depends on nothing else but – consistency. Anybody can start a business and grow it! The simple rule is to work less but be smart about the steps you take in your business. 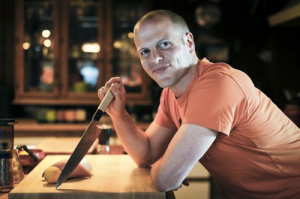 Tim Ferriss is a New York Times Bestselling Author of 4-Hour Work Week, 4-Hour Chef and one other book which you should hunt, buy and read. If you haven’t heard of Tim since you started doing business online, then you may have been living under the Rock found on the shores of Plymouth. So, how can Tim’s 4-hour work advice help you drive traffic? Simple. You know that this post contains 20 traffic generation strategies. But you can’t possibly try all of them at a go. Tim’s advice in the past few years is that you focus on that task that will bring you the most desired result. If you’ve to use guest blogging to grow your blog in 6 months, then stop worrying about forum marketing or twitter marketing for the time being. Don’t totally neglect those but give your total focus to the goal you’ve written down – in this case guest blogging. Personally, I think the 4-Hour Work Strategy works because I’ve been using it since 2012. It’ll send you more targeted traffic, sales and focus on the long run. Can you ever define “blogging” without mentioning problogger.net? I don’t think so. In his recent post, he revealed some amazing ways to drive hoards of traffic to your blog by using Google Analytics to compare feature. Rowse pointed out that once you can understand what’s happening on your Google Analytics dashboard, growing your traffic on a daily basis is certain. Second, he advises that you participate in other people’s conversation. Get links from other relevant blogs and link to others. Running a blog is a give and take decision which you must make from the onset. Never be selfish to link to others and add a signature (e.g latest post) to your outgoing emails. Can you see why Rowse is so successful despite the stiff-necked competition in the blogosphere? You should listen to Matt because he knows how to start up a business, develop a website and before you know it turns into a success. This young guy under 30 is the co-founder of 99designs, SitePoint and Flippa. Finally, this internet entrepreneur spilled the beans and revealed simple but powerful traffic strategy. I was able to learn from him how you can drive free targeted traffic to your website. If you take your mind back you’ll recall that on April 1, 1997, Matt launched Webmaster-Resources.com, which was later relaunched to SitePoint.com in 1997. Matt and his partner Mark Harbottle teamed up and started creating easy-to-follow web design tutorials and till date, SitePoint remains one of the best web development resource portals online. Matt’s traffic strategy is that you listen to your target audience, interact with them. SitePoint now has more than 300,000 registered web designers sharing the latest updates on social media, building strong signals and leveraging the site to grow their own business. Does your business and website solve a definite problem? You should watch this fabulous presentation which Harold gave on Ted Tv. Harold has been an entrepreneur since childhood and he’s a strong advocate that parents should recognize and foster entrepreneurial talent in their kids. So what is his best traffic generation strategy? First, Cameron Harold is a business coach and public speaker. Before applying any marketing practice to your business, consider what would happen if a major change happens. Who would have believed that you and I would be watching Live TV on our mobile Phones or spending so much time on Facebook? Change is inevitable and the more you think ahead, the better results you’ll get. Harold suggests that you foresee 3 years from where you’re right now in business. If you’ve a blog that receives 100-visitor/day, how much traffic do you want in the next 3 years? Now, get your hands soaked and concentrate on that 3-year plan. It’s not too far away into the future and it’s not too short. It’s well balanced. In January, 2013 Collins introduced a revolutionary product into the market. That product called LeadPages – a conversion rate optimization (COO) and landing page software. In just about 9 months, Collins hit the $3.5 million run rate because his offer is helpful, much needed at the time and even today. The software is what entrepreneurs also need to build their email list faster and increase sales. From this excerpt, you can see how Collins generated a lot of free targeted traffic to his product page. Usually, your target audience will respond to your website/product/blog if they perceive you as someone who wants to help them grow their business and life. Of course they will buy what you’re selling, but you’ve to prove that you’re not after the money (at least initially), but after their own success. Actually, I first read about LeadPages from Pat Flynn and I know he makes a lot of commission month after month from it. The software is simple. That’s why bloggers and those who purchased it went about telling others about it. 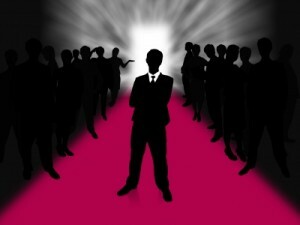 When your readers and customers are satisfied, they’ll tell others and bring you rich and formidable visitors. Be like Clay, be helpful and you’ll never have to worry about traffic from today onward. 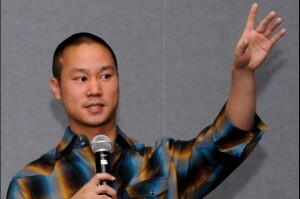 Tony Hsieh is a venture Capitalist and internet entrepreneur. If you love to shop for shoes and clothing, you must have come across Zappos online shop. Yep, he’s the chief executive officer of the shop. You know him now, don’t you? One of his bestselling books, delivering happiness helps you chart a course for your business. The path to profit, passion and purpose is well explained but more importantly, you can learn a lot from Tony Hsieh on how to drive traffic to your website/blog. He was referring to the business he founded with his roommate, which they eventually sold to Microsoft for $265 Million. The reason why they sold it was because they lost the drive, the passion wasn’t there any longer. If you want to grow a website/business or your wordpress blog, don’t just dabble into it just because everyone is doing it – you’ve to love it. You may make some money on a business you’ve zero passion for, but you can’t sustain their wealth or replicate it. Fall in love with content creation and this can only be possible if you love your niche. Your business. Alex Ikonn successfully co-founded Luxury Hair. She’s built his 7-Figure Ecommerce Business on Shopify using the power of videos. I’m guilty of this part because I haven’t used videos since I started this blog. What a shame! YouTube is the most popular video sharing site in the world. What’s the reason for their success? Is it because it’s owned by Google or has a fancy domain name? Far from it. The truth is that the majority of people all over the world would rather watch a 3-minute video than read a 300-word article. The web is powered by content and video has taken a chunk of it. Ikonn currently generates more than 2000 subscribers a day on his YouTube channel and YouTube had gladly ranked his her channel in the Top 20 Beauty Channel all over the world. If you’ve haven’t started already to promote your business with quality videos, it’s not too late. You don’t have to be an expert either. Alex has this video for you, so you can learn as you go. All internet entrepreneurs are not created equal. When I start this content marketing blog, Ryan Lee was one of my motivation. I enjoyed every bit of post he publishes. Of recent, I got to know that Lee is a fitness expert and has obsession for independence and entrepreneurship. He started his first website in 1999 even before some of the multinational Facebook, YouTube and even twitter started theirs. But here’s the striking thing about Lee, he knows how to drive a lot of traffic to a brand new blog. A very simple idea I got from him recently is that, “if a particular traffic generation strategy worked for you before, just repeat it.” Wow! That means you don’t have to chase a new traffic trend or reinvent the wheel. Just repeat what works and reap the benefit. However, Ryan recommends that you improve on it if it’s boring or looks outdated. But never get on your own way or try to be fancy. 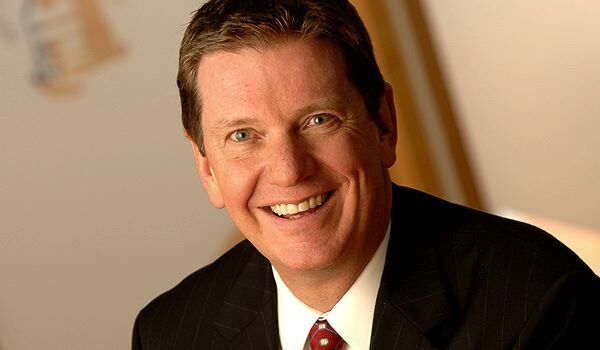 Michael Hyatt is a content writer to the core, so he understands that content can drive you a lot of traffic. He’s the former CEO of Thomas Nelson Publishers and now has a very strong voice on productivity, leadership and social media. Driving web traffic is easy, but bloggers and content marketers tend to complicate the whole system. 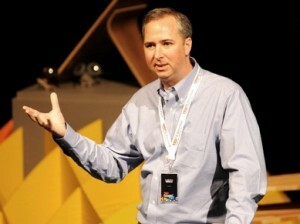 According to Hyatt in his recent video, he recommends that you describe the problem you’re trying to solve. Tell your readers what they’re going through because oftentimes, they can’t clearly explain why they’re failing at something. That’s why you’re the content creator and marketer. You lead and others follow. If your elevator pitch is not clear enough, you’ll miss the opportunity to drive fresh visitors, engage old readers and grow your business. Your readers’ attention span is limited. Studies have shown you need about 30 seconds to drive your value proposition home. To learn more about Michael, visit his blog today. Neil Patel is an ace Internet Entrepreneur. Trust me, he’s truly intelligent and his posts always inspire me to make mine better. You can’t rival him, so don’t even try. If you’re looking for web traffic that will actually convert into customers, first, you should spend time doing on-page SEO. In other words, look at your Meta Tags, interlink your old and new posts and be sure they’re relevant. Second, write more detailed content and use stats and data to backup your claims. What does this mean? Stop writing those 300 – 500 word articles because you’re wasting time. More often than not, thin content blogs always get hit by the latest Google updates. You’ve to avoid that and also, 10% of searchers use Google to find detailed content. Neil said in several of his posts that when you start producing detailed content that are valuable, you’ll start ranking in Google even for keywords you never optimized for and consequently get more targeted free traffic. 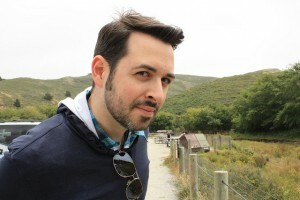 This guy is diversifying and incorporating a lot of systems into his quicksprout blog. Why? Because he now understands how the web works and what to do to get traffic anytime, anywhere. 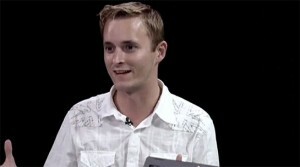 Cashmore is a young entrepreneur, founder and CEO of Mashable. I’ve watched him grow his website over the years and the strategies he’s employed. Trust me; there is nothing too fancy about it. Anyone can learn and master it. 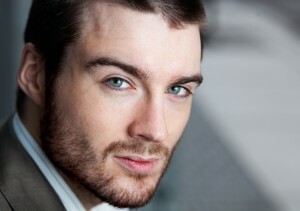 Finding the energy to keep going is the challenge of most bloggers, but young ones like Pete Cashmore has it in a great measure. That’s how to build influence. That’s how to stand out strong and dominate your niche. A lot of people are confused and when they come to certain blogs, their confusion increases because the ideas are too vague to understand. But you can challenge yourself to make a difference. For instance, everyone is talking about “list building” and this can frighten new bloggers who aren’t doing it. How can you help them get started? If you simply ask them to get autoresponder and start collecting leads, they might not do that because they don’t know how to go about it. But if you take the idea of autoresponder, create videos or presentation and explain the technical aspect, you’ve won loyal readers for life. 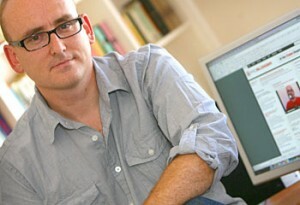 This cute SEO entrepreneur and the Founder of a Marketing Software called Moz.com, formally called SEOmoz. Guess what? He wears a fish skin jacket the other day. Just kidding! But seriously, Fishskin is famous for his veteran way of explaining complicated SEO topics using the Whiteboard Friday. I can’t possibly say when he started this trend of teaching with a board but I’ve learnt so much about generating rich traffic to my content. Even before I write a post, ‘Rand’s advice is my guide. So, what is his best advice for getting free targeted traffic to your blog/website which you can implement right away? 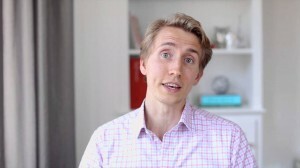 In an interview he had at dejanseo.com.au, his advice is that SEO is just one piece of the pie. The best way to grow your website is to start out with SEO and then scale it up into other marketing channels like social media and find opportunities for outreach and PR. Get to know other bloggers intimately so that they can willingly cite your posts when they update their blog. Moz’s Fresh Web Explorer tool helps you find media outlets so you can join the communication and get exposure that way. 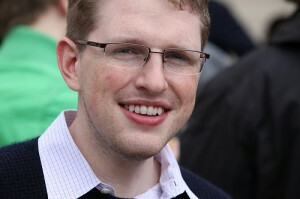 Matt Mullenweg is a social media entrepreneur who left CNET in October 2005 to focus on a more powerful project. Why did he leave CNET? Because he’s stubborn and wouldn’t give in to just anything – there is a better way out there. 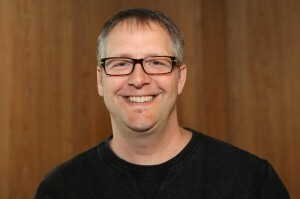 He’s the co-founder of the open source blogging platform WordPress. I think every blogger should respect Matt or else, he would kick all of us out one day. Even this blog is using WordPress software – and yours too. But being a famous web developer goes beyond you. It has to impact others and so, let’s look at how we can drive traffic to our own business following the insights of this young lad. From the initial phase of WordPress.com when it was an open-source and still is, anyone can create a blog and start adding content. Then Matt and his team discovered that the community/target audience needs to have at least 95% of their blog and that was what birthed the idea of making wordpress a CMS (content management system). So they created the wordpress.org – a difference in the domain name extension. If traffic is what you need, follow Matt’s trail. Find out what your target audience desperately needs and just do it. Don’t postpone or make excuses – successful people hate the phrase “I can’t.” I’m starting to hate it, too. For instance, if you’ve been writing posts after posts and have never given away e-book or a packaged product to your audience, I think you should try it. Why not surprise your readers this season. Create a pdf version of your popular post and give it away. If you like, ask for optins first or just make it express downloads. Whichever way do something different. If you’ve never written a tutorial post before, go give it a try and watch your traffic and profit soar. A lot of people have claimed to be content marketers, but the one entrepreneur I respect with the whole of my being is Brian Clark. 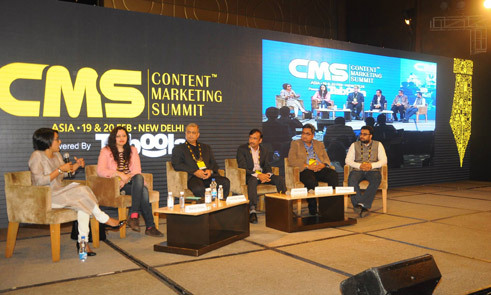 He’s the founder of word’s famous copyblogger, which started as a simple blog sharing ideas on how to use content to grow a business online. But today, Brian Clark alongside Sonia and others have significantly expanded this business. Now, they’ve various software service, themes, Authority platform and a raving community. Now that’s a paraphrase of what he said, but I’m sure you understand. Clark believes in keyword research in order to identify what your target audience is searching for. However, the keywords you get should be used to gauge their emotional needs so you can craft content that suits them. This well-deserved content marketer strongly advises against keyword stuffing or padding. Storytelling is an integral part of content creation and you should use it always – with a purpose. Remember, social media is now a huge factor in growing your traffic. But don’t go about tweeting and sharing links. You’ve to earn it by providing valuable content that’s driven to meet people’s need and help them see the opportunities they’re missing. 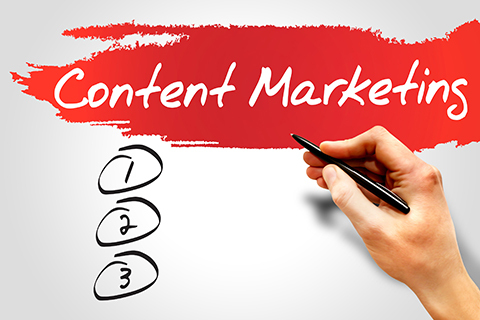 Everything I’ve just shared with you concerning Clark’s tip is known as content marketing. You should know because a lot of content creators and bloggers hate him. 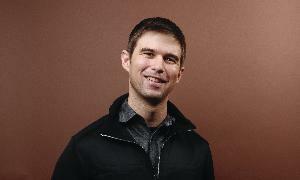 Matt Cutts is the joined Google in 2000 as a Software Engineer but today he’s the Head of WebSpam. You may not believe me for what I’m going to say here, but I really like Cutts for his transparency. He literally reveals what Google intends to do even before they do it. Isn’t it fair enough that Google considers it wise to educate us on how they want their search engine to work? There is no single specific method to pleasing Google SE than for you to consistently produce valuable, relevant and detailed content. From experience, such types of content have a better chance of ranking on Google homepage and even if (***) you got penalized due to one reason or the other; you’d bounce back stronger even with no efforts on your part. This is not a guarantee though, don’t mind my excitement. Lol! Just like Brain Clark advised you should never jeopardize the growth of your blog as a result of keyword stuffing, Matt has shown us the way to get more traffic and juice from Google. Consistently create great content and earn natural links. Yep, here comes the co-founder of Instagram – a photo sharing application and he wants to share with us his best way of driving traffic to a website. Born on 30 December 1983 and he’s an American. 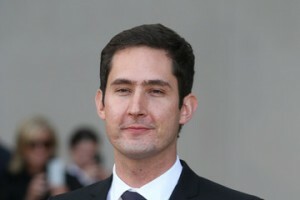 In 2006, Systrom graduated from Stanford University and till date, he’s the brain behind Instagram. You can learn a lot from this gentleman apart from traffic generation. You can learn to project into the future when making your decision. Why do people love to use Instagram for their photo needs? Systrom looks for smart and passionate people when hiring. He believes they can drive your vision and help you actualize your dreams. The criterion for hiring people as employed by this entrepreneur can help you network as well. As a content marketer, send your guest posts to smart bloggers who can promote it to further boost your exposure. Don’t just network with any internet marketer out there; be selective because 1 powerful and smart friend can grow your business better than 10 mediocre fellows. The last stubborn Entrepreneur to share their best traffic generation strategy is a mother, a success coach and the founder of clicknewz.com. Terry doesn’t accept failure one bit and her blog was one of the few I stumbled on when I started affiliate marketing. Stay positive, take a good look at yourself and take action. I guess this doesn’t come anywhere close to web traffic right? Wrong! Let me tell you something. I’ve just shared with you 20 tips to increase your traffic, but the truth of the matter is that if you lack the zeal and positive outlook, you may give up before you hit the jackpot. You’ve to understand that you’re capable of driving any amount of traffic to your website. It may not be instant (will never be), but it’s possible. That’s why you MUST take action right now. 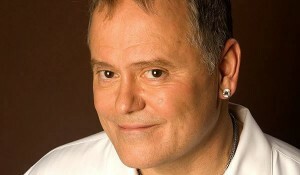 Terry’s insight to me is fantastic, maybe not new but do you practice it? I need you to drop a valuable comment and tell me which of the entrepreneurs’ traffic strategy you love the most. Please be honest because I’ve plans to further interview him/her if possible. This post is Part 1 in the Series. I’m going to be sharing 100 web traffic strategies from 100 entrepreneurs. Look out for it and please share this post with a friend who you know is struggling to grow his business. See you at the top! Our experience is that the traffic that comes to our web site from our blog is the highest quality traffic we get, based on conversion rates. By following these eight rules, you can start to reap the results of blogging for your business. Thank you sir for providing such loads of information on such importanat topic. I will try to follow your advice as i need to improve my sites ranking.Please keep giving us valuable information like this. Hi, Michael Chibuzor. I really love this post. Love the way you write your posts. The information in this article is really unique and useful for me. After reading this article, I think I have some ideas for myself. I do follow your articles recently. Thanks for sharing this post. Hope to read more interesting information from you. Have a nice day. Great content and its particular wonderful subject material plus prefer to watch extra in terms of high quality internet writers. Strategy Tip: Make sure that you carefully track conversions. In our own experience, traffic can be very noisy (low quality) and you can easily mistake an increase in traffic for success. 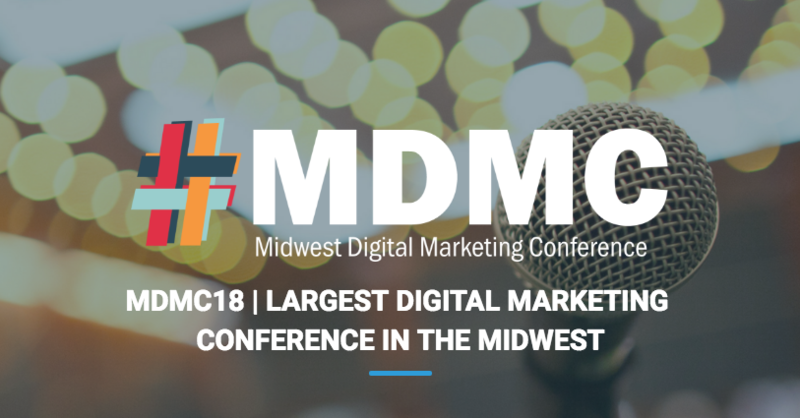 For a list of other metrics used by marketers to measure the efficacy of content marketing efforts, see the graph below. I appreciate your tip Farrel. Thanks a bunch. I have read your post and the points which are perfect, But about brief content of words around 2000 is too much I never have done this much brief content may be sometime I did it, but I finish my content when I think it’s all about what I am writing, as if you are targeting your right audience than you understand they are looking for an exact information and if you are providing then the required thing they demand than the game is all yours. So, we’ve established that great content is rule number one. Without it, all traffic to your blog is pretty much a waste. Thank you very much for putting all the efforts in sharing such useful post. This post is true gold. I personally love the strategies of Ted Nicholas and Matt Mullenweg. What’s your favorite Michael..? Hi, these are really one of the top entrepreneurs you have stated in your post. they are truly amazing in their work. Some interesting ideas here, thank you. 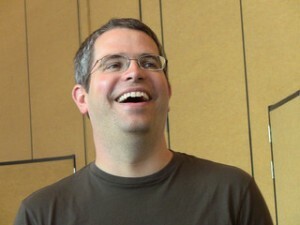 I keep seeing Matt Cutts all over the place at the moment – he seems to be explaining stuff on YouTube all the time. The new comments section, the PR rank thing. Must be a busy dude. Yep, Matts is a busy dude I agree. Great Experience……. Truly want to say got very helpful tips from the traffic boost I love to use them every time I start any blog also on my exciting ones… Thanks For this logical article. I enjoyed this post very much. Great stuff. These tips help a lot and these people got great experiences at getting traffic. Love this. Thanks for another inspiring message from top bloggers in the world — Micheal. Please i want to go off the topic here– Please i have niche site on how to attract women and looking for ways to generate traffic to it.. Help bro. Use guest blogging and SEO. I’m sure you’ll get enough traffic to your women’s website. It hard i find blogs on that niche in Google site.. Your friend did well referring you to my blog. This article is excellent and you have done a great job getting your point across in this content. I’m impressed with how well you have stated your points of interest with such interesting, original thinking. I try my best to give you the best. Glad you benefited from it. Hi every webmaster have unique and secret their own strategies to get traffic…. As I have also,,, But I must would like to apply these tips… as great for everyone…. I have 4 years experience but i always try to learn new techniques and visit to blog and forums to know secret of others……. Me too. I like Neil’s advice. I LOVE timothy ferriss. his whole philosophy has really changed my life and he has really great advice. he’s quite the motivator. thanks for including him in the list! Tim Ferris has no rival whatsoever. I didn’t know you love him the same way I do. With paid traffic, you can create and nurture winning campaigns. And then SCALE them up to your heart’s content. Have you paid for traffic before? Hi, these are really one of the top entrepreneurs you have stated in your post. they are truly amazing in their work. Matt Mullenweg is the one i admire a lot. thanks for sharing. Thanks for reading this post and appreciating the entrepreneurs. I love Matt too. really This is a very detailed and good post. Great article! These top Strategies, from top blogger will work if we work on it properly. Nice to read your article from different successful experts. I agree with you and very nice topic for traffic generation. Excellent post. It may give good pointers to the new people as to from where they should start up. Of all those people, my favourites are Neil and Matt Cutts. Specifically, Matt has shown that the content is the single most important thing to draw traffic. wow, i really love this post. There is many articel out there about web traffic and most of them just provide the fact,tips and some common and same info. But you really write this in different perspective and i really love it. I learned a lot from this post. Tips and info from someone that have success and establish, I see no reason to not believed about what they said. Thanks again for this post. Nice posts and its particular great subject matter and also desire to view a lot more in relation to top quality writers. This is a great post. I’ve learned a lot from this. Very informative indeed. Thank you for sharing this very useful post. Stubborn people can do difficult and out of the box things. Stubborn is used in negative sense but I think stubborn people are those who do not go with anything else but have a thought in there mind and go with it. Yep, detailed posts work so much. I absolutely agree with these internet entrepreneurs and their best traffic strategies. Really helpful for me. It will certainly help your readers work less but smarter! That’s my ultimate goal Steele. This entry of yours is sure detailed and extremely rich. Learning from the professionals is what anyone intent on becoming great at what they do should consider. However, there is a caveat: stick to what works for you! So to answer your question, I’m in love with every piece of advice shared here. Bit my bit, I model what works for me using an aggregate of all the opinions. Do have a great day Mike! I’m sure these entrepreneurs would help my website grow not just in the area of traffic, but also increase and branding. Keep writing and publishing valuable content that are detailed. Then use social media networks to send strong social signals which Google spider loves. Your rankings will become stable that way. Thanks For All that you do to make me relax about ranking but i want to know is social media help is post ranking upward and how much time it takes ?? Yes social media signals help rankings. The exact time varies but it works. I do like Clay Collins’ quote “Be Simple and Help Others Grow”, that’s my favourite. To me that’s the true “key point” to always get long term lasting success. And, as Leonardo Da Vinci said: “simplicity is the ultimate sophistication” ! Thanks for the list of the best traffic generation strategies. A bit from each of them and you can be really successful. I hope It will help me in the future. 1. What I am already doing – study your Google Analytics data. There is a lot of gold in this data. I do some of the things mentioned there, yet not all of it. 2. What I am going to do – is to repeat a traffic strategy. I used to do this, however I think that I moved away from this strategy to chase the gold at the end of the rainbow. I also see that you might be following the advice from Neil Patel, the 2000+ word article. Awesome Post, Thank you very much for putting all the efforts in sharing such useful post. Its definitely a winner post of the day. Q&A sessions — using webinars, teleseminars, or whatever tool is most comfortable for you — don’t just encourage engagement, they’re also a strong traffic builder. They’re easy for your fans and your network to promote, they’re inherently interesting, and they’re a great vehicle to show off what you know. They’re also an excellent way to collect topics for future content. God bless you richly for reading my post and giving your 2-cent. Let’s admit it, stubborn people love to d crazy, funny and weird things. They love to do out of the ordinary stuffs and surprisingly become effective for business or become viral. Remember, creative marketing is smart and effective. I have to put forward that you should craft yours too.